Merging several PDF files and combining different files into a PDF are common document-related tasks on Windows. Sometimes you would need to join two or more PDF documents. 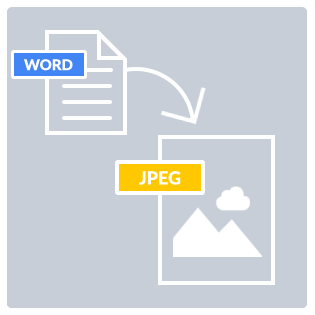 Or combine several Word documents or JPEG images into a single compact PDF. In this article we will guide you through various ways to merge PDF, so you can choose the best option for you. Let's take a closer look! 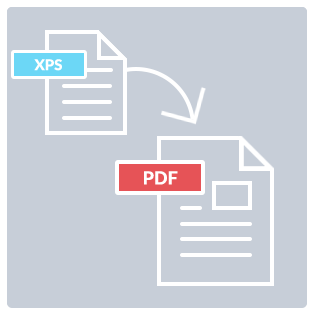 The methods described below work both for joining several PDFs together and merging files in different formats into a single PDF – so you get a multipage PDF document as a result. 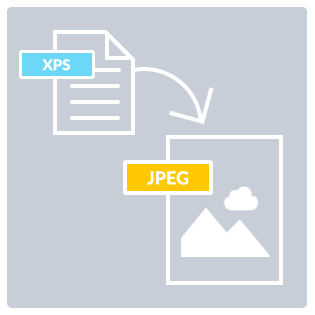 DOC, DOCX, XLS, XLSX, PPT, PPTX, XPS, image files (JPG, PNG, TIFF, DCX) and many other filetypes can be merged & combined to the PDF format. One of the most basic ways to merge PDF files for casual users is to use a standalone desktop application. DocuFreezer is a free PDF merge tool with simple settings. It doesn't require Internet connection, so you can work with your documents anywhere. DocuFreezer's easy-to-use interface makes PDF merging or splitting a matter of seconds. DocuFreezer can both merge files in various formats into one PDF and join PDFs together. This software easily converts several files to PDF in one go, so all you have to do is just add files into the list, select output format and click 'Start'. In the Settings, go to Multipage and select Merge into one PDF. Please note, that files added to the list are joined together in the same order as arranged in the list - from the first to the last one. In other words, the resulting multipage PDF will contain your documents as pages. Multipage options are available for TIFF format as well – the program can both split and merge multipage PDFs or TIFFs. Moreover, DocuFreezer can merge files into one PDF, split PDF files into pages and add pages to existing PDF. DocuFreezer is free for non-commercial purposes and is also available as a paid version for business purposes. If you need to combine just two PDF files, Universal Document Converter looks like a simple solution. It offers more file processing options than DocuFreezer – you can set up output file image quality, color mode, file compression, data structure (e.g. bitmapped or searchable PDF), password protection, crop & resize options and more. This virtual printer can combine several documents into a single PDF or combine image files into a single PDF. The program basically works like a file converter, the only difference is that it is installed in your system as a printer. In order to merge two PDF files, go to File Format > Multipage > Append all documents to the existing file. Please note, that the new file must have the same filename as the existing one. One of the drawbacks of Universal Document Converter is that it is not very convenient for merging multiple PDFs, since you'll need to manually open a PDF file and select to which one it should be appended to. Did you know? Not only you can combine PDF files, but also Word, Excel, PowerPoint, Web pages, DjVu, Outlook e-mails, Visio, AutoCAD and other different document and image types! For example, you can easily merge JPEGs to PDF using any software described in this article: DocuFreezer, Universal Document Converter + Print Conductor, FolderMill or 2PDF. "This online service is safe and secure", "Your files are absolutely safe on our servers and will not be forwarded to third parties", "All data uploaded is deleted after 1 hour" - online services promise you they will never use your data once they get it from you. Online file converters with PDF merge feature are available in one click, for free and wherever you want. Just google "merge pdf online" and you'll find a lot. This method seems to be very convenient, but with just one remark: use it, if you are okay with the fact that someone may see and do whatever they want with your uploaded files. We suggest that you do not upload sensitive content such as bank statements, contracts, bills - anything which should stay confidential. Better install an offline software for this task, just to be on the safe side. More importantly make sure you do not share any personal data of another individual when uploading files to online file converters. Otherwise you may need to have an appropriate Data Processing Agreement with the online conversion service you're using. Failure to have in place a suitable Data Processing Agreement is a breach of the law under General Data Protection Regulation (the “GDPR”). The GDPR does not generally allow one person to give consent on behalf of another. There are some other peculiar cases on joining PDFs or merging other files into a PDF. More ways to combine & merge PDF files are described below - you can do it with Hot Folders (input and output folders), from Command Prompt, on schedule or with a script. You can also add pages to the beginning or the end of existing PDF. If you're looking for a flexible and superior solution to control file conversion, try FolderMill. It converts files to PDF or image format in real time with the use of so-called Hot Folders. You can set incoming and output folders and configure a Hot Folder specifically for PDF merging. Hot Folders may be shared within an office network. When you or your colleagues place documents or images into the Hot Folders, the new files are instantly converted and added to an existing PDF or TIFF. The output merged PDF files will appear in the output folder. FolderMill can convert, print documents and images and perform other document-related tasks e.g. filter, copy, rename files or add a watermark. This software can process incoming files 24/7, and processing takes place in real time. Appending and prepending pages to existing PDF or TIFF is possible with DocuFreezer. Just arrange your files in the list in a certain order – e.g. a cover page goes first, then goes the main document (existing PDF), and a back cover page goes last. Then select Multipage > Merge into one PDF and click Start. The program will take your files and combine them into a multipage PDF in the same order as they are sorted in your input folder. If you want to make a strict order, it is possible to convert files from a list of file destinations saved in Notepad. 2PDF doesn't have graphical interface, but it has simple standard commands and flexible conversion parameters. 2PDF is only available by request. Please contact fCoder to get a copy of 2PDF. Portable Document Format (.pdf), developed by Adobe, has become one of the Internet’s defining information tools with its ability to preserve data in its original form. PDF ensures that the file doesn't lose its visual quality after being sent to another person. This media container is very popular since PDF files can be opened on most devices and different operational systems. 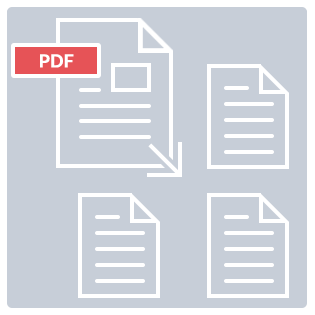 Within a PDF there can be in a wide range of content: texts, images, spreadsheets, diagrams, email messages and more. We tried to come up with different useful solutions for combining and merging PDF files. If you have any questions left or if you know more tips on the topic - please drop us a line or two, and we'll update this guide.